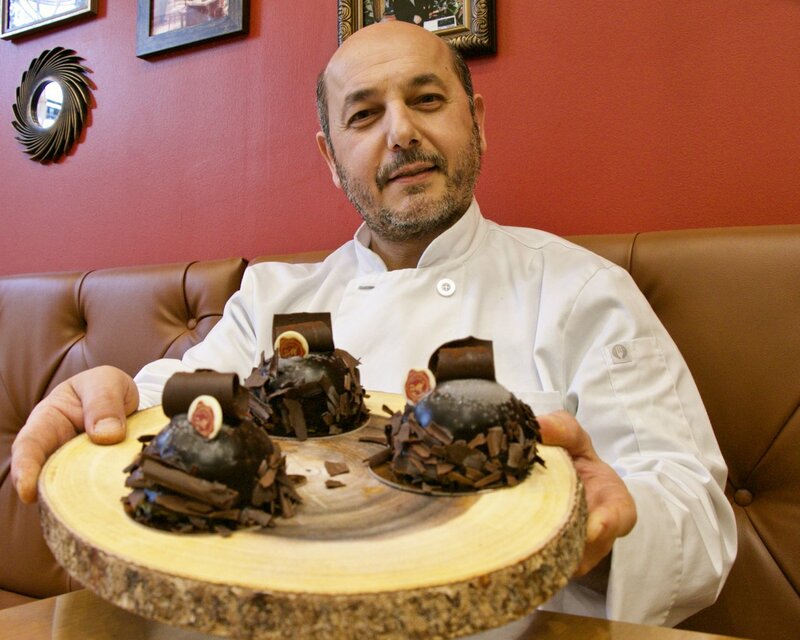 Meet Houston Chocolate Hero Dany Srour of Delices de Maurice — and Try His Special Chocolate Pastry! 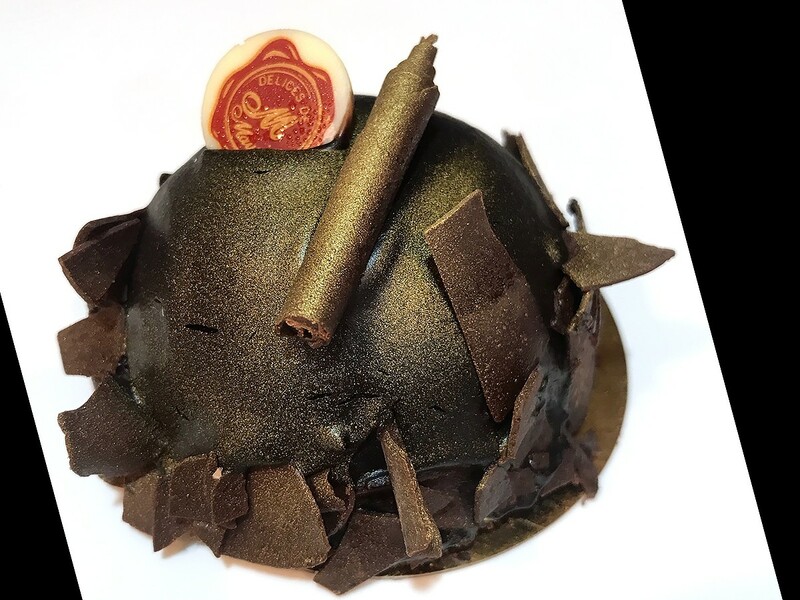 Danny Srour of Delices de Maurice shows off the Dark Chocolate Mousse Dome, his creation for Callebaut's Chocolate Heroes Month. Photo by White Beard Photography. Srour is a Lebanon native. There, his family owned “Patisserie Maurice,” so he and his brothers grew up learning all of the aspects of running a pastry business. He opened his original Delices de Maurice in Beirut. In 2002, Srour and his family moved to Nigeria so he could take the role of head bakery chef at two different upscale Lagos hotels. In 2015 the Srour family was able to come to the United States. He became the pastry chef at Flo Paris, an authentic boulangerie and patisserie in Houston, and then went on to recreate and reopen his Delices de Maurice in Katy. The Dark Chocolate Mousse Dome at Delices de Maurice uses Callebaut chocolate. Photo by Estée Grier. In addition to ease of melting, the pastry chef prefers dark chocolate for pastries because it has a high percentage of cacao rather than sugar. “I like to show off the chocolate so people can enjoy it. It depends on the recipe but most of the time I’m using chocolate with 60 to 64 percent cacao,” said Srour. That includes his Dark Chocolate Mousse Dome, the special Callebaut showcase dessert. Delices de Maurice is one of eight independent Houston businesses featured during Houston Chocolate Heroes Month. Click to view all the Houston Chocolate Heroes on a map. Visit any of them to pick up a Houston Chocolate Hero Month Passport and collect a sticker for each of the treats through February 10. Once you’ve collected all eight stickers, use the attached, pre-stamped envelope to mail the passport and receive a FREE Chocolate Heroes apron! Use hashtags #ChocolateHeroes and #HoustonFoodFinder to keep up with the latest posts! For questions or additional information on the Houston Chocolate Heroes events, please email us. We look forward to seeing you and trying these delectable chocolate creations as a community!